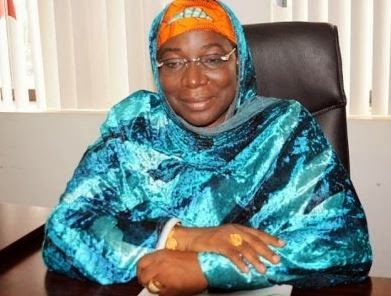 The immediate past Minister of Education, Ruqayyatu Ahmed Rufai, who was sacked from the federal cabinet last month, has joined the ongoing strike by Academic Staff Union of Universities, ASUU, which she desperately tried to break while in office. Enquries at Bayero Universities, Kano, BUK where Mrs Rufai was teaching Education Curriculum before joining the Jigawa State cabinet in 2007 and later the federal cabinet in 2011, revealed that although the former minister had returned to the institution, she was yet to commence work as a result of the ongoing industrial action. Public Relations Officer of BUK, Mustapha Zaharaddeen said that the former minister had joined her colleagues in the strike. “How can she teach? She has joined the strike, she has no choice. How can anybody teach? Don’t forget, ASUU National President is from BUK,” Mr. Zaharaddeen said.